The bard’s oft sickly sweet love story, of two teenage lovers forced into the arms of tragedy by their self-absorbed elders, can sometimes sound like the plot to a mid-afternoon B-movie on Channel 5. Yet it remains as revisited a tale as there is in the English language. It goes without saying of course, that Baz Luhrmann et al helped reawaken the classic story in 1996, but what is also clear from this interpretation is that what they uncovered there was just the start. Russian Director Polina Kalinin brings to the stage all the lustful vibrance and punk sensibility of the film but adds dashes of comedic gold and magnifies the clash of generations to produce a feast for all the senses. Visually it’s utterly breathtaking and all explodes into life with tear gas (dry ice), truncheons and rebellious music that burn our lungs, eyes and ears, in what proves to be truly 4D experience. Violence is never far away and when its red mist does descend it is both muscular and brutally convincing. Indeed, the immortal fight scene that culiminates in Mercutio & Tibault’s chaotic deaths is so stunningly well choreographed (as provided by the excellent Jonathan Howell) as to be cinematic in its scope. Blows draw flinching and squirming from the crowd, like a queasy front row at a bloody prize fight. And when we say gory we mean Tarantino level gore, with blood sprayed across the stage when knives are drawn, jugulars lacerated and lives taken. But lets not forget, this is also a story of youthful exuberance and defiance. And the party at which our two main protagonists first meet is a firecracker of an evening, with all the debauchery and lewdness of a Gatsby gathering. Using the vague time period of 1960s Europe, the backdrop and feel of the play brings to mind the chaos and turbulence of the student protests of 1968 Paris, although Kalinin is at pains to insist they did not have an exact date or place in mind. The demeanour and clothing of the cast are all built around this concept and it conjures a mood akin to a medieval version of David Pearce’s ‘Red Riding’. Moody and defiant this setting seems so perfectly attuned to the warring factions, and conflicting loyalties, of the Capulets and Montagues that one wonders why it has not been thought of before. 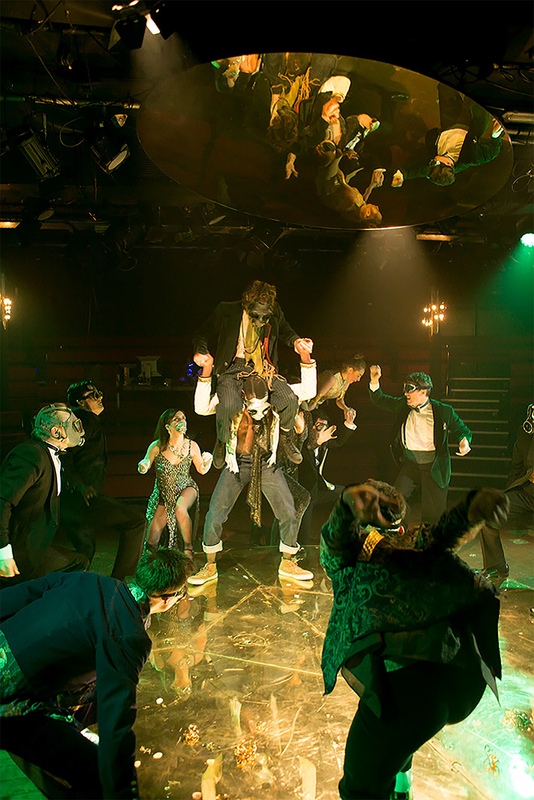 The stage itself is something of a centrifuge, with its epicentre being a child’s roundabout (that spins below a mirror suspended above like a gaudy UFO) on which the cast loll and mess bout, like the juveniles they are. This focal point also provides them with a place to sling shot around as their lives spin faster and faster out of control until finally disaster ensues. As ever though the true success of any great play boils down to two things: the performance of the director and the central cast. And in both these critical categories there are stellar performances. As already explored Polina Kalinin draws excellence and innovation in equal measure from all involved – the cast and production team all deserve their long & vigorous ovation. Paapa Essiedu is charmingly funny, devastatingly good looking and fearfully believable as the bi-polar Romeo, achieving the admirable feat of both tender adonis and wild murderer with total conviction. Romeo really shines though when Essiedu truly loses himself to the untamed beast that resides within his characters heart, to such an extent that the crowd, who were once enraptured by his wit, are awed into silence by the sheer power of his convincing delivery. 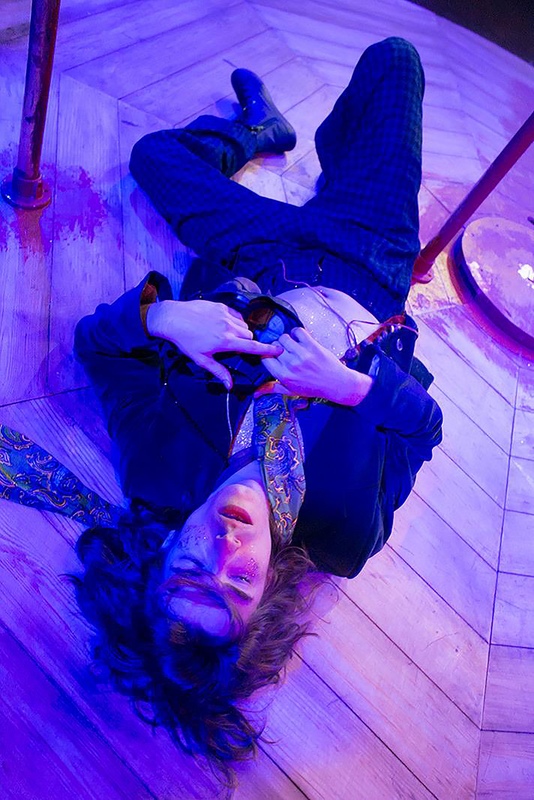 Oliver Hoare’s Mercutio is as mad as he is enrapturing. And it is he who truly steals the show with a breathless performance that takes the rakish Prince of fair Verona to the unnerving and uncouth Johnny Rotten and wilder side of Daniel Day-Lewis in an all too fleeting performance that is cut short by his characters untimely demise. As remarkable as it is memorable, this vivid and unforgettable adaptation of the star crossed lovers is a thing of brutal beauty. To get tickets or to find out more please click here. 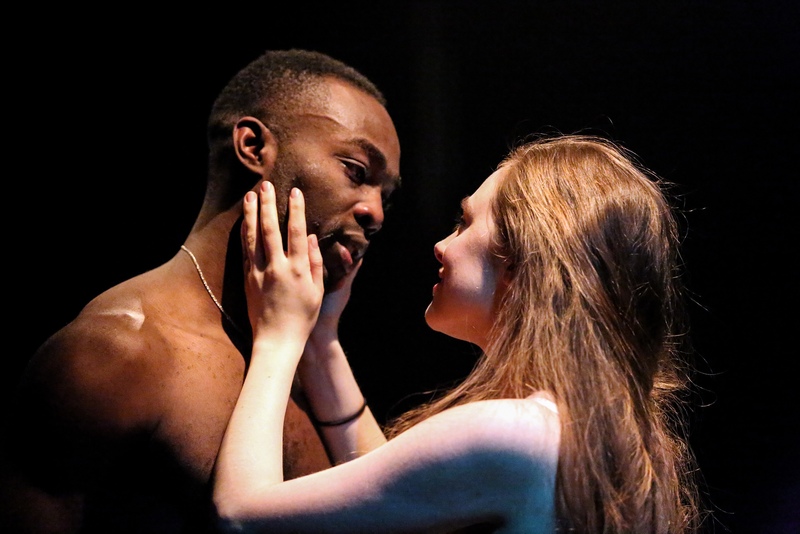 Tagged bristol, Kevin Mcgough, play, review, romeo & Juliet, romeo and Juliet, Shakespeare at the Tobacco Factory, the fix, the fix magazine, theatre, tobacco factory. Bookmark the permalink.